Providing nothing less than outstanding quality is our highest priority at Minneapolis Casino & Poker Rentals. We hire the most charming and highly-trained dealers in the industry and provide the finest equipment. The success of your event depends on us, so our staff will be available for all phases of planning to produce a flawless casino experience for you and your guests. Whatever you need to create an authentic casino experience, we have a customized package for you. We can provide everything from dealers, tables and DJ’s to bartenders, waitresses and showgirls. 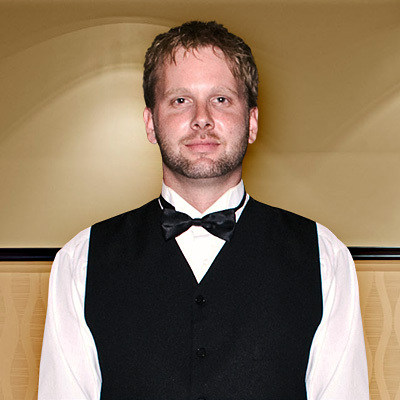 All of our equipment is state-of-the-art and comparable to real casinos, and our staff boasts professional experience. The members of our team have one goal: to provide the most genuine and entertaining casino event for you and your guests. That’s why we only hire professional staff. Our experienced planners will meet with you at the location of your choice to go over every aspect of your casino party. Our dealers have casino floor experience and strive to make casino events enjoyable whether you’re a beginner or a high-roller!